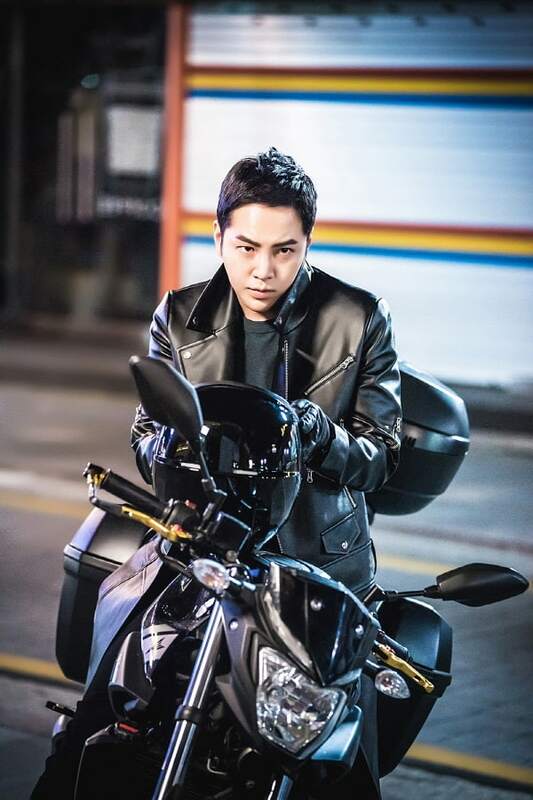 SBS’s “Switch” released stills of Jang Geun Suk showing off his charisma as a biker in all black. In the drama, Jang Geun Suk plays two roles as Sa Do Chan and Baek Joon Soo. While Baek Joon Soo is a prosecutor who always sticks to the rules, Sa Do Chan is a genius conman. The latest episodes of “Switch” featured Sa Do Chan working together with Baek Joon Soo in chasing down the culprit behind the drug dealing business. After receiving a tip that drugs were being smuggled through diplomatic bags, Baek Joon Soo grew suspicious of the president’s private jet. Sa Do Chan blocked the president’s path and began investigating, but initially failed in finding any drugs. He then noticed a small Moai statue in a box with the name label of a diplomat he had investigated earlier. Reminded of what happened in Keum Tae Woong (Jung Woong In)’s gallery, Sa Do Chan immediately smashed the statue and found a bag of LSDT. The newly released stills show Jang Geun Suk dressed in black from head to toe. Instead of his usual mischievous attitude, he looks charismatic and serious as he sits on his black motorbike. After racing through the streets on his motorbike, Sa Do Chan walks into a restaurant, looking fierce. Holding his helmet in one hand, he takes off his leather gloves as he heads inside. The scene was filmed recently in Incheon’s Chinatown. Jang Geun Suk paid extra attention to his line of movement as he filmed the scene where he stops his motorbike and walks into the restaurant. After going through the script in detail and thinking about every gesture, Jang Geun Suk immediately fell into the character of Sa Do Chan when the cameras started rolling. As the scene involved Jang Geun Suk racing on a motorbike, various filming devices including a helicam were used to shoot the scene. 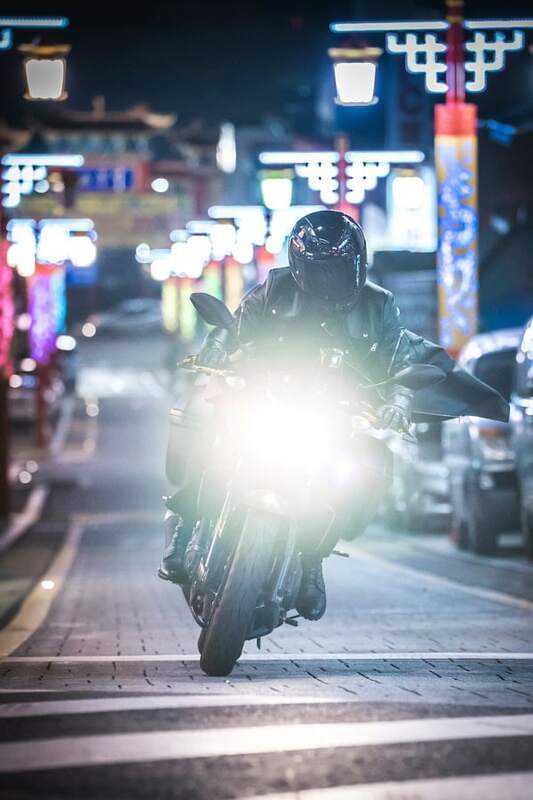 The production staff of “Switch” shared that the upcoming episode will feature Sa Do Chan’s endless efforts to catch the person behind the drug business. “Please look forward to the future actions of genius conman Sa Do Chan who is displaying just as much passion as Baek Joon Soo, a real prosecutor, when it comes to investigation,” they added. “Switch” airs every Wednesday and Thursday night at 10 p.m. KST. Check out the latest episode below!